An iBlock is a cross-curricular learning pathway that enables students to invent, explore, and build important future-ready skills. Watch the video above for an idea of what learning redesigned can look like. Here’s how we create an iBlock. The creation of an iBlock starts with the skills matrix. 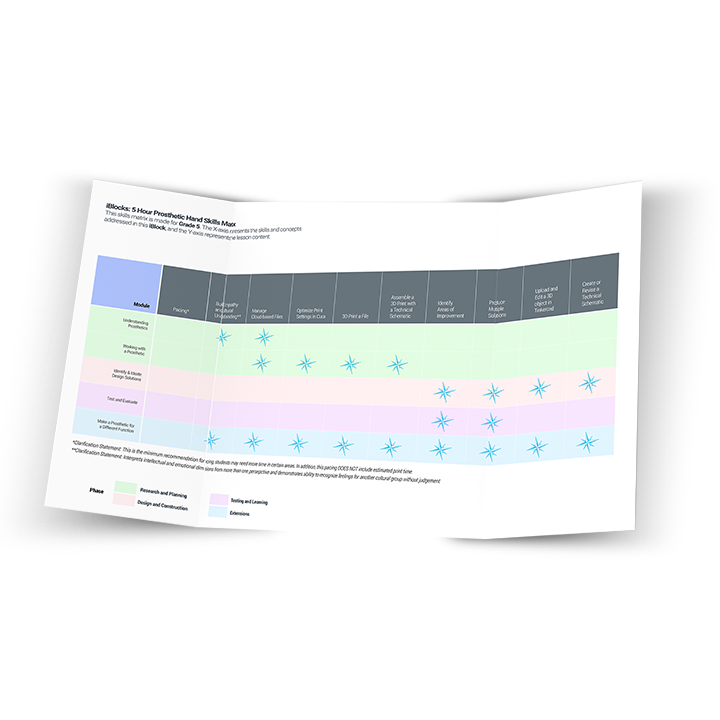 The skills matrix is a crucial point in the process because it provides the structure for the entire iBlock, defining the goals and expected outcomes. During the discovery phase, we’ll listen to your interests, ideas, and goals. We’ll define the primary goal and outcome of your iBlock, and then design the skills matrix to go along with it. With the skills matrix as a starting point, from here we’ll build your iBlock framework. The framework creation brings the skills detailed in the matrix together within the context of the projected outcome. It also provides the details of each step of the Engineering Design Process in the form of modules. 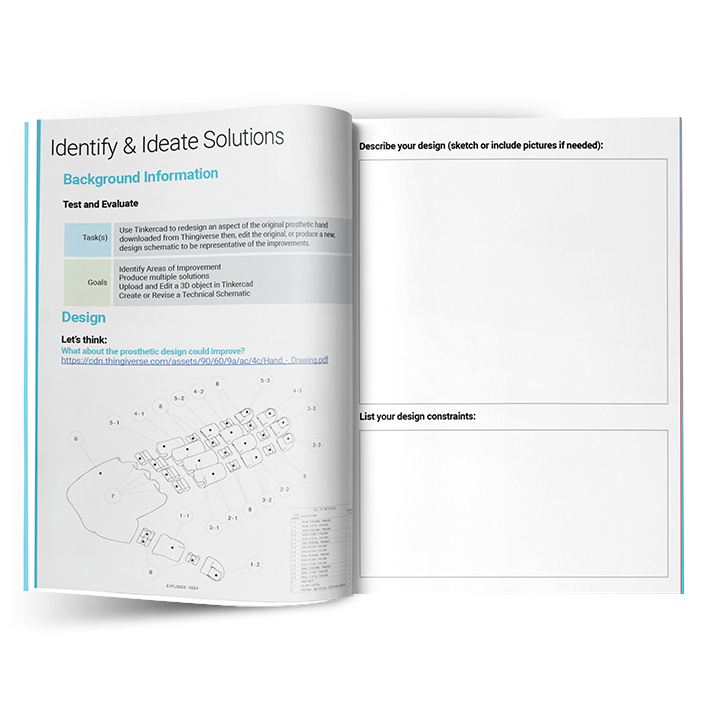 With the skills matrix and framework in hand, you can either choose to develop the rest of the iBlock on your own, or commission Teq to create the next part of an iBlock: the student workbook. 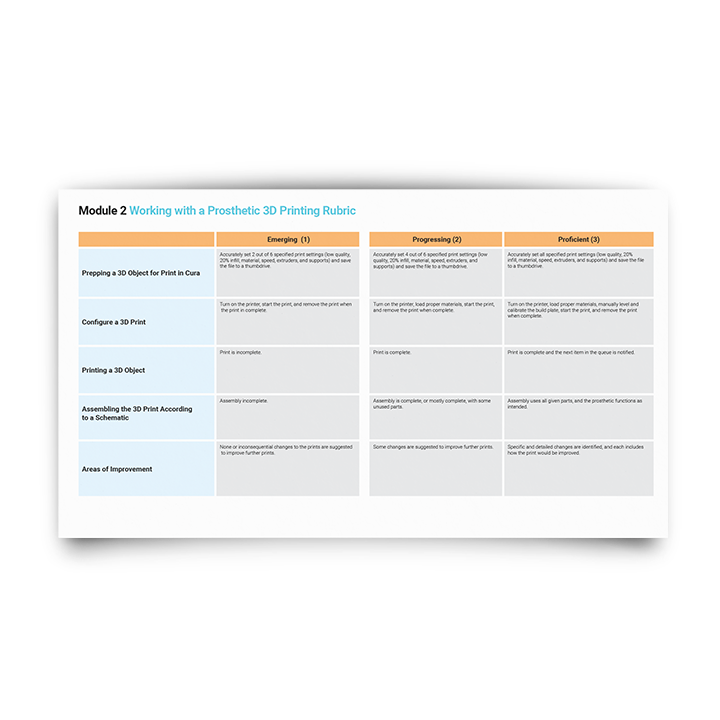 The student workbook is meant to be a companion for students as they work through each module of the iBlock. [+] Two hours of onsite implementation support. With the student workbooks created, we’ll then develop a teacher’s guide, which is meant to assist educators as they facilitate their iBlock. 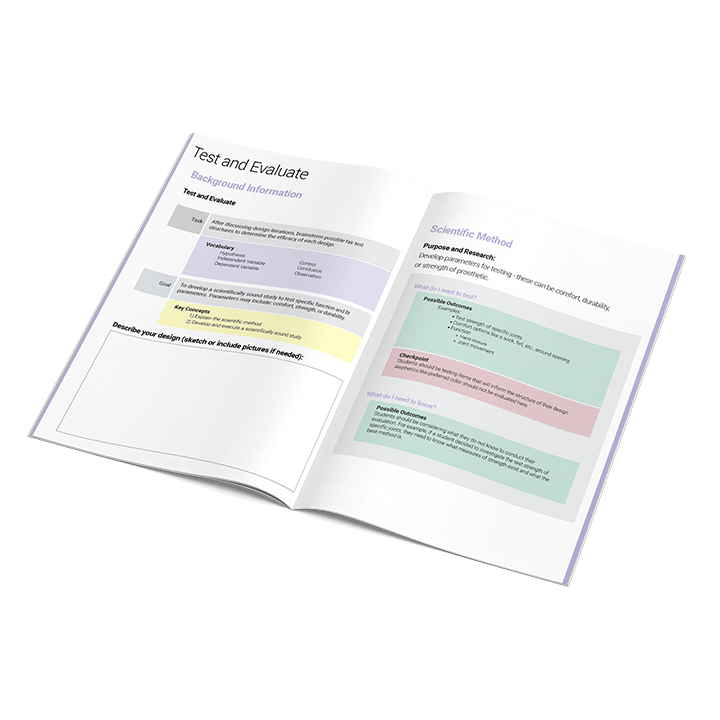 The teacher’s guide mirrors the student workbook for each iBlock module, and contains helpful guidance and tips for teachers. 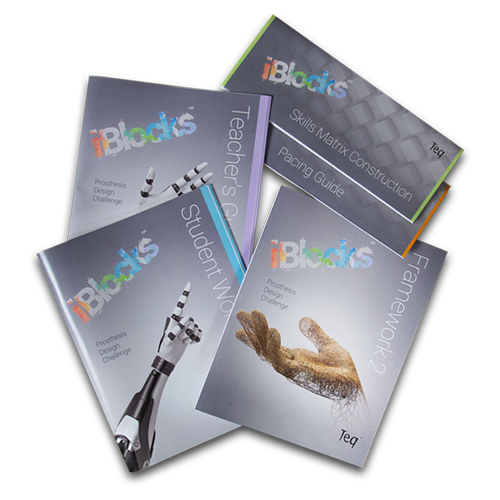 With the skills matrix, framework, student workbook, and teacher’s guide in hand, most educators feel ready to facilitate their iBlock. However, if you’d like to continue developing your iBlock with Teq, we can create the student assessment and associated pieces. The student assessments are created as a way for teachers to gauge student understanding as they record and reflect on their iBlock work. 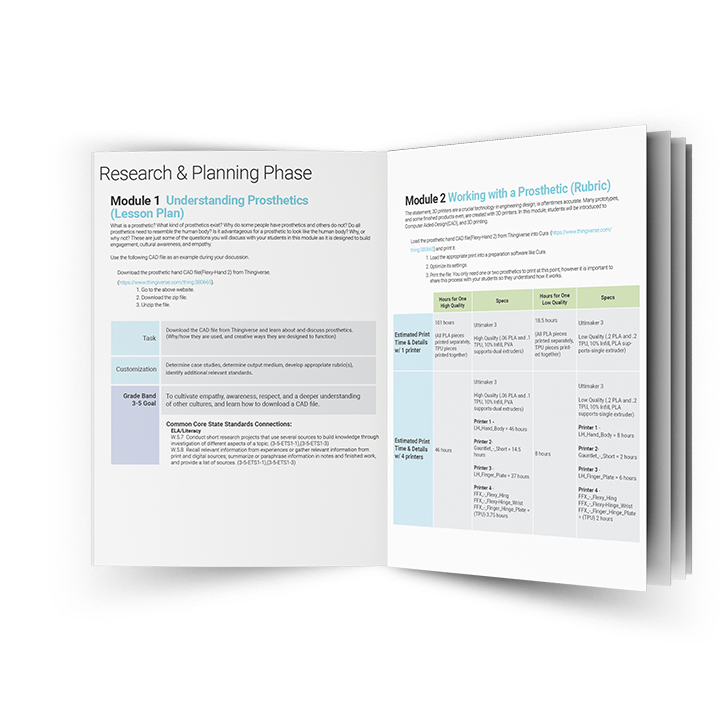 Once the student assessments are developed for each module, we can also develop rubrics to help you assess student performance. Finally, the actual lesson content is created in the shape of lesson plans. iBlock lesson plans include a lesson description, desired outcomes, classroom activities, and more. Our implementation, facilitation, and professional development support can help ensure a successful outcome for your students. Check out the packages below to learn more about the professional development that’s associated with your iBlock. Because iBlocks are custom-designed around your goals and desired outcomes, collaboration between you and Teq is an important part of the process. Here’s what collaboration and support look like through each step of an iBlock’s creation. Our collaboration begins with a one-hour discovery and needs assessment conversation where we’ll gather the goals and outcomes needed to create your skills matrix and framework. We’ll also identify the primary and secondary focus of your iBlock — like Math, ELA, Engineering, Design, and so on. 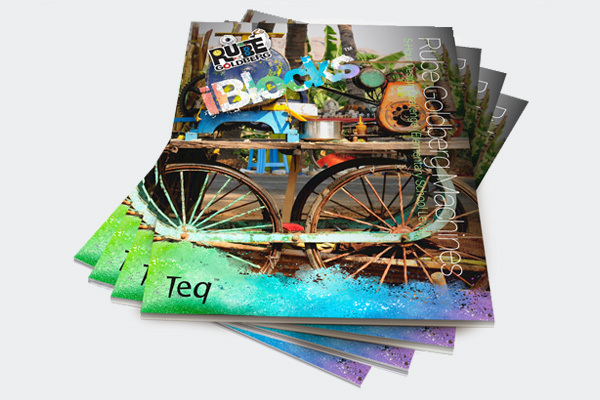 If you’d like further support from Teq, the iBlock Foundation Plus package includes the creation of the student workbooks, the teacher’s guide, which we find supports better outcomes for your iBlock as you continue to develop the content details on your own. 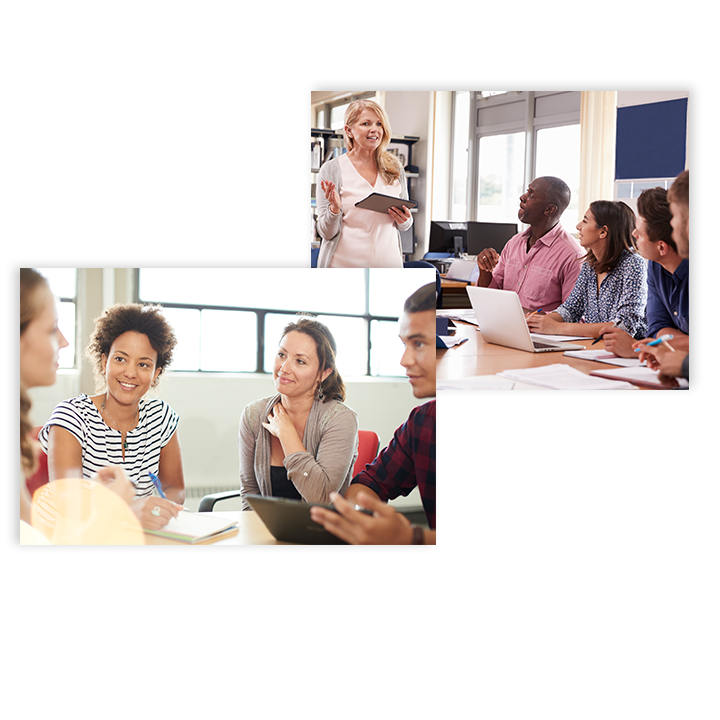 This package also includes one hour of content collaboration, and two hours of onsite implementation support to guide your integration of the iBlock into current classroom instruction. If you’re interested in an iBlock that’s ready to go out of the box, we’ve developed the iBlock package. 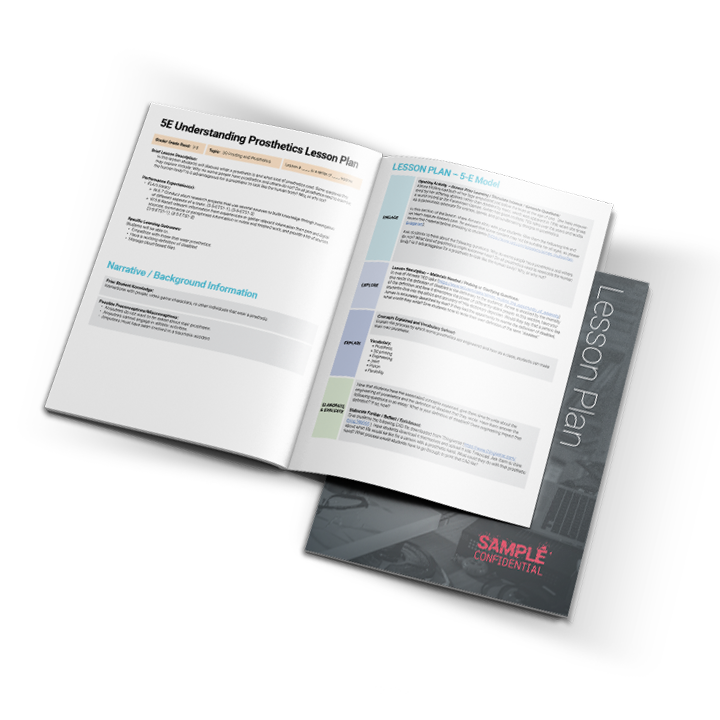 This package includes all components of the Foundation Plus package with the addition of assessments, rubrics, and lesson plans. With this package you’ll receive two hours of content collaboration, and a total of five days of onsite professional development. Onsite PD will include two days of implementation support to guide your integration of the iBlock into current classroom instruction, and three days of in-classroom facilitation to get your iBlock up and running with your students.. Imagine an iBlock that spans across grades and evolves with your students as they learn and grow. With iBlocks, you have the ability to adjust, modify, or extend your project over time. If this sounds like an option you’d like to explore, please contact us to discuss! *If you’d like your instructional staff to participate in the iBlock design and development process beyond the hours specified by your package, please let us know before your purchase order is issued. Any collaboration outside of the scope specified in each package will be billed at a daily rate, and should be reflected in the initial purchase order, as it informs the iBlock creation process. 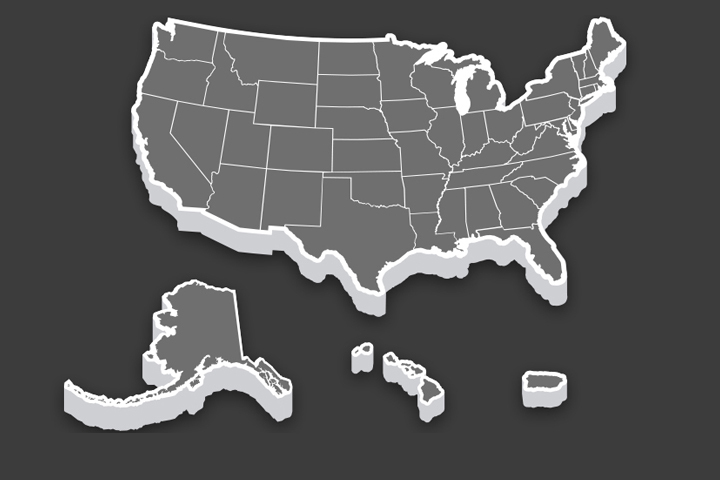 Take a look at the top industries in your state — these can be a great starting point for creating an iBlock that's both relevant and robust. Use our ideas or invent your own! Want to see what the iBlocks deliverables could look like? Let's put a plan together. Use the form below to have a representative reach out to you directly and receive a FREE downloadable copy of our marketing booklet.